Do you know a family that could use some extra holiday cheer? Nominate a deserving family today to be sponsored by Amy G Injury Firm for the holiday season. 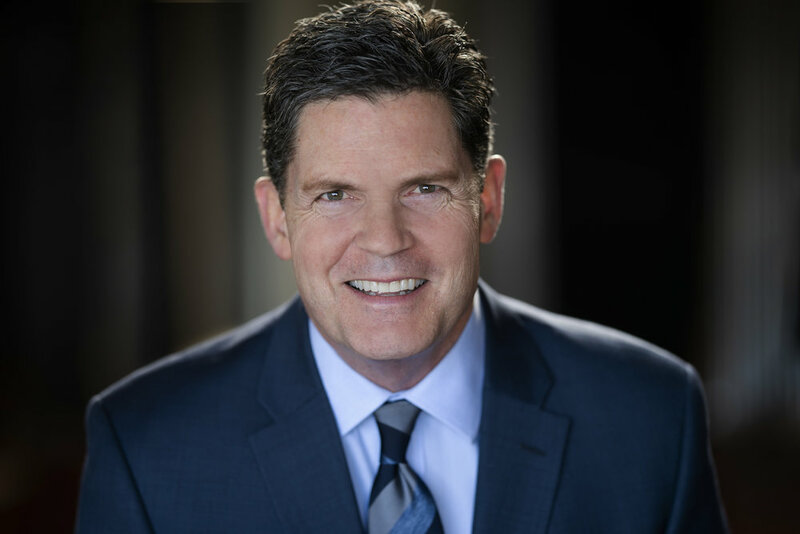 As part of the firm’s initiative to give back to the community in Aurora and Denver, Amy G Injury Firm is happy to announce its second annual Adopt a Family program. Amy G Injury Firm needs your help to nominate a deserving family who would benefit from some help during the holidays. Nominations will be accepted until Friday, December 14. To help families and children in the community, consider nominating someone! With your participation, more families and children will have the opportunity to buy gifts for family and friends, which is often a costly privilege. To learn how to nominate someone, please click below. Food for Hope is growing the future of our community by providing vital nutrition to children in need. Thanks to the $1 Million Giving Incentive Fund from the Community First Foundation and First Bank, your donation goes further when you donate at our site below on this day. Help us keep growing to meet the needs of our community by making a year-end contribution on December 4th! This year the Orchard Town Center is donating all proceeds from their gift wrap service to Food for Hope! So, stop by this month to purchase some gifts and have them wrapped for a minimal donation. Kick-Off your holiday season by partnering with us to feed families in need in Adams County this Thanksgiving! We will be assembling 1,750 boxes of food that include everything needed to prepare a full holiday dinner for a family of 4-6 people. Each box includes a turkey! These boxes will be distributed through the schools we serve, as well as to community members who may need some extra love this holiday season. Help us give our neighbors the dignity of preparing a meal in their own home when they otherwise would go without. Choose your link below to volunteer or sponsor boxes for $20. Thank you for making a difference! Thursday, November 15th - Meeting at Legacy Christian Fellowship. 1pm to 5pm : Schools TBD. We need 30-40 volunteers. Friday, November 16th - Meeting at Legacy Christian Fellowship. 1pm to 4pm: Schools TBD. Join us at Bitto Bistro at Orchard Town Center for a fun night of delicious food! Proceeds benefit our organization. Bitto Bistro is also hosting a wine auction on this night with wines from the Spanish Wine Flight and an Exclusive Bottle Auction. Food for Hope will benefit by receiving 100% of the profits from Wine Auction purchases. Potbelly's Sandwich Shop has created a special milkshake whose sales will benefit Food For Hope for the entire month of August! Join us on Wednesday, August 1st for a dining night out at the restaurant as we kick-off our fundraiser. On this night, 25% of all sales on this night will benefit our organization, so mark your calendars and bring your friends! Don't forget to buy a special Strawberry Oreo milkshake (or 2) while you are there. Join Food for Hope as we come alongside another nonprofit to educate the children we serve at McElwain Elementary school on Thursday, May 17th. We need 18 adults willing to work with children at this school. Many companies will offer an excused absence for this type of volunteer work! Please see more information below and use this button to sign-up. Please join us on Thursday, April 26th at Wedgewood Brittany Hill for a delicious dinner, a silent auction, and experience firsthand how hunger is affecting thousands of youth in our area. You don't want to miss these highlights! Spa packages, date nights, summer excursions, and more! We are SOLD OUT! Please join us next year if you haven't already purchased tickets. Colorado Blizzard Soccer Night for Food for Hope! Food for Hope is looking forward to partnering with Colorado Blizzard Soccer for the Colorado Blizzard vs Colorado Springs Inferno indoor soccer game at the Denver Colosseum, 4600 Humboldt St, Denver, CO. If you bring a box of Protein Bars (that will be donated to Food for Hope for our School Fuel Program at Thornton High School) you will receive a $5 discount promo code for Colorado Blizzard Games. Please join us! If you are a resident of Colorado, don't miss this unique chance to support Food for Hope on Tuesday, December 5th. All donations made through Food for Hope's page on the Colorado Gives website are eligible for matching from the Colorado Gives Foundation. This means your gift grows exponentially and helps us reach more local children in need. 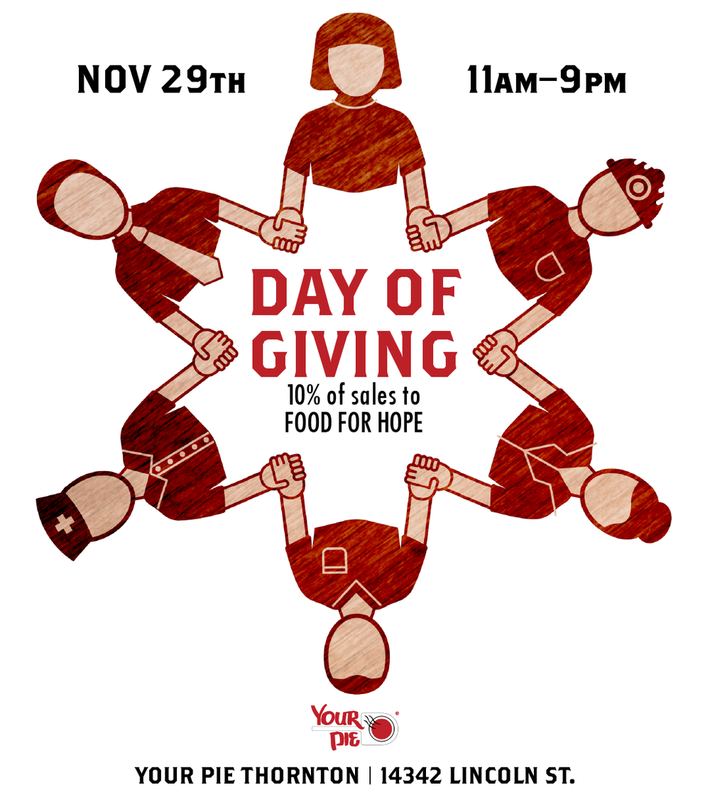 Your Pie in Thornton is hosting a "Day of Giving" and 10% of all of their sales will go to Food For Hope! Please mark your calendar to eat some delicious pizza or salad sometime on Wednesday, November 29th and part of your purchase will help local children in need. We hope to see you there. Gordmans in Thornton has chosen Food for Hope to benefit from their Giving Tuesday event! Not only do 10% of sales benefit our organization, but there are other fun things happening! *First 50 guests will get a $5 gift card and a bonus gift. Check off some gifts from your holiday list and a portion of what you spend will help local children in need. See you there! Join us as we reach out to families in need in Adams County for Thanksgiving. We will be assembling 1,600 boxes of food that include everything needed to prepare a full holiday dinner for a family of 4-6 people. Each box includes a turkey! These boxes will be distributed through the schools we serve, as well as a local apartment complex that serves families emerging from homelessness. Help us give these people the dignity of preparing a meal in their own home when they otherwise would go without. Sign-up below to volunteer or purchase a box for $20 to help us achieve our goal. Thursday, November 16th - Meeting at Legacy Christian Fellowship. Friday, November 17th - Meeting at Legacy Christian Fellowship. Don't worry about getting dressed! Roll out of bed and bring your family and come in your PJs to support Food For Hope! For $10, you will get a full breakfast including pancakes, egg, sausage, and your favorite breakfast beverages. Help Food for Hope reach local children in need while enjoying a delicious breakfast with your family. We hope you will join Team Food for Hope at this year's Fallfest multi-course race in Westminster on Saturday, September 23rd. Enjoy a beautiful fall day and support local children in need by representing Food for Hope. This is an incredible race that includes distances for everyone! You choose: 1 mile, 5K, 10K, Half-Marathon, or Marathon. This is a very well-organized race produced by All-Out Multicourse Productions. Registrations include breakfast, free race photos, finisher medals, and MORE! Go to the FallFest 2017 website and register for the race of your choice. Choose the "Food for Hope" team when you register. As part of our team, you will receive a Food for Hope t-shirt to wear on race day and a bag of extra swag! Start your fundraising page by clicking the "Join Team Food for Hope" button below. Share your page on social media or via email and ask for friends, family, and coworkers to support your race. Anyone can pledge to donate a dollar amount for every mile or kilometer you complete, or submit a one time donation. All donations to Food for Hope up to $4,000 will be MATCHED by Affordable American Insurance! Email info@foodforhope.net for details about joining our team. OR just come cheer and support this awesome gym that is a valuable community partner for our organization. There is a wonderful group of mothers and children who work on doing service projects for the community during the summer. This group is selling baked goods and lemonade to benefit Food for Hope! Drop by Park Village Park & Pool on Thursday, July 20th (4051 Summit Grove Pkwy, Thornton, CO 80241) between 10am - 12pm to encourage these kids, and help support the programs of Food for Hope. Looking for a fun afternoon out with friends? This will be a great afternoon to do Mother's Day shopping, snag your end-of-year teacher gifts, and get some great deals for yourself. Our vendors are providing prizes that you can win, and all proceeds will go to benefit Food for Hope! $2 Admission includes a free raffle ticket! Enjoy a chair massage and homemade treats while you shop. Scroll down to RSVP & purchase tickets. We are excited to participate in Colorado Gives Day 2016. This is a great opportunity to invest in local nonprofits who are making a difference in Colorado communities. We hope you will consider Food for Hope as a recipient on this day of giving and DONATE HERE. See the Food for Hope profile for CO Gives Day! Come support Food for Hope while having some fun with fitness! Contact the Fit Soldier gym for information on how to register a team for this event at 720-382-5240 or at info@fitsoldiers.com . We are also looking for a few volunteers to come talk about what Food for Hope does in the community to event participants. If this interests you, please email us at info@foodforhope.net. We will be partnering with the Westminster Rotary Club again this year to sell boxes of fresh, delicious Palisade peaches! Last Summer these were a big hit and they tasted incredible. A portion of all proceeds will go to support the mission of Food for Hope! Orders will be collected until August 12th. Peaches will be delivered straight from the farm on Friday, August 26th in Westminster. Rungry - Run for the Hungry! REGISTER NOW! Use the Coupon Code EARLYBIRD to receive $5 off if you register before MAY 1st. Click the button below! Join us for the 2nd annual 5k run/walk to benefit Food For Hope. A competitive heat with prizes & medals for age group winners will begin at 8am and costs $25 per person. The family fun run will begin at 8:45am and will have a suggested donation of 5 cans or $5 per person. All proceeds will benefit feeding local children in need. Don't want to run, but you want to join the fun? Sign up to volunteer by clicking the button below! Would you like to promote your business while helping children in need? Fill out the form below! Expo Only $40 - Table at race expo for marketing your business to all race participants. Someone will contact you within 48 hours with more information. You may pay your sponsorship online at: foodforhope.net/donate or mail a check to: Food for Hope 13853 Elm Street Thornton, CO 80602. Please join us on Thursday, April 14th at Brittany Hill to enjoy a delicious dinner, connect with others in the north metro Denver community, and experience firsthand how hunger is affecting thousands of youth in our area. Mayor Heidi Williams will share her desire to address the issue of childhood hunger and how her inspiration helped form Food for Hope. Representatives from local schools will share what they experience on a daily basis, as well as volunteers from Food for Hope will show what we have already been able to accomplish in two short years. Most importantly, we will reveal how you can be engaged in securing the future of our community by helping children who struggle with hunger every day. We look forward to the pleasure of your company. Our mission is to unite the Adams County communities in the fight against hunger by providing healthy meals to children in need. Join us as we give boxes FULL of all the fixin's for a holiday meal to families in need at the 5 elementary schools we serve. 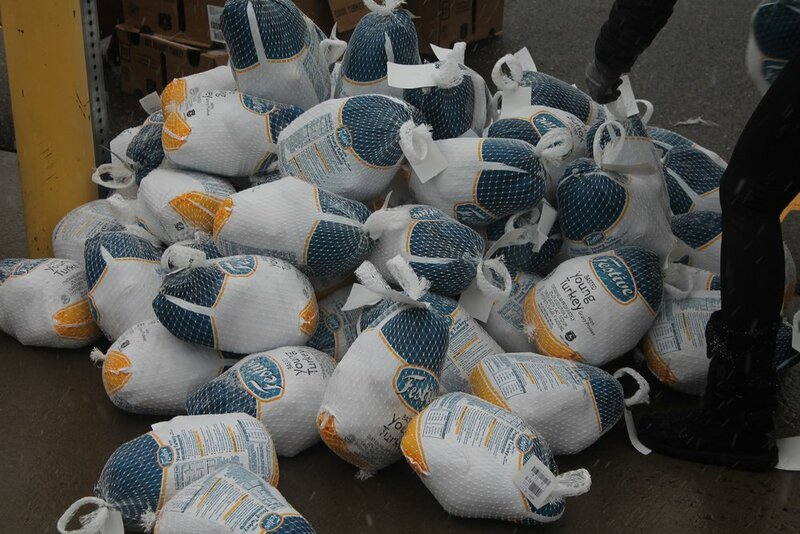 We will be distributing at least 1,500 boxes of food (including a turkey!) to local families the week before Thanksgiving. Each box will feed a family of four, so we have the opportunity to impact 6,000 people in our community this holiday season! 1) VOLUNTEER! Sign up with your family, community organization, or friends to help us pack and distribute boxes. Opportunities to serve are Wednesday, November 18th - Friday, November 20th. Jump in and join the fun! Click the box below to see details about locations and times and to sign up! 2) PURCHASE a box for only $10 that will feed a family of four! Please help us sell all 1,500 boxes so that no family will go without at our schools. 3) SHARE! Please let others know about our project! We want to make a huge impact on the North Denver community this Thanksgiving and we want as many people as possible to be a part of it. Please post our event to social media, share via email, or just tell your coworkers, family, and friends. First Bag Packing Night of the Year! Join us on Monday, September 14th for our first bag packing event of the year! It may go fast, so we recommend getting there at 5:15pm. We are going to be feeding more families than ever and we would love to have as much community participation as possible. Come for a night of comedy and fun! We will have appetizers, desserts, an interactive comedy show, and prize packages to raffle. All proceeds go to Food for Hope and will help us reach our goal of feeding more students in the Fall! Tickets are $35/person or $55/couple. All proceeds go directly to Food for Hope! Purchase tickets online by clicking HERE. Or email info@foodforhope.net to reserve your tickets and someone will contact you to pay by phone. Business sponsorship opportunities and preferred seating tickets are available! Contact us for more information: info@foodforhope.net or 303-746-2006.